When I opened a bottle from France’s Loire Valley this past weekend, Hervé Villemade’s 2015 Sauvignon Blanc, I was reminded of the importance of temperature in enjoying the full spectrum of a wine’s flavors – and that wines without prestigious appellations on their labels can often be delicious values. What turned out to be a lovely, subtly complex wine appeared at first one-dimensional and enclosed. But within a few minutes, the wine seemed to come alive, releasing wonderful and complex aromas and tastes and reinforcing my confidence that a wine with the broader “Val de Loire” classification could indeed be memorable. 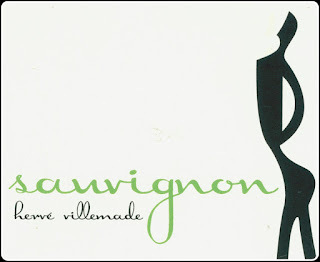 As for the sauvignon, Villemade produces his wine in Cheverny, an appellation that calls for sauvignon to be blended with some chardonnay or a couple of other white varieties. Hence, an all-sauvignon wine must be declassified to the “Val de Loire” designation. The sauvignon is made from organically farmed grapes (as are all of Villemade’s wines), and shows notes of orange, pear and apricot, a subtle herb touch and a nice mineral edge. The overall impression is generous and round, even with alcohol listed at just 12.5 percent. This is a beautiful wine with a winning price of about $14. It's available at Chambers Street Wines in New York and other stores. Just promise me you won’t drink it too cold. The wine world is awash in sauvignon blanc. 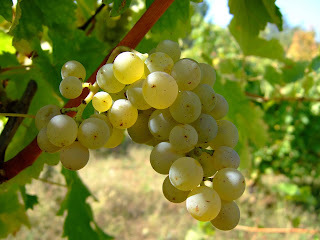 The grape is ubiquitous, grown in just about every wine-producing country, from the zippy Southern Hemisphere wines of New Zealand and Chile, to the mineral-driven sauvignons of France’s Loire Valley, to the more opulent wines of California, where one sauvignon blanc is in a class by itself. 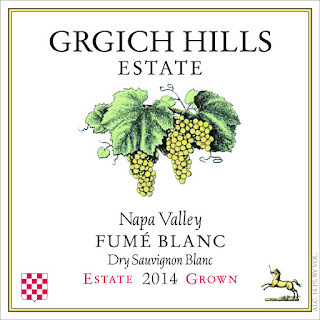 That wine is Grgich Hills's Fumé Blanc (another name for sauvignon), and the recently released 2014 vintage is spectacular. This $31 estate wine made from organically grown grapes (as are all Grgich Hills wines), is one of the most balanced and elegant sauvignons you’ll find anywhere. The 2014 vintage is the best I’ve tasted in recent years. Make no mistake, this is a sauvignon driven by the fruit, and in the mouth there is a lot of it to behold, with notes of pear and apple, some tropical fruit, touches of orange and pink grapefruit, and hints of green apple skin and white flowers. A long, mineral-driven finish gives the wine an attractive “chewiness.” There is an opulence here, achieved in part by the concentration of the fruit itself, but also by the subtle use of oak barrels in fermentation and aging, including six months on the lees. Opulent, but not overpowering, thanks to a good measure of acidity that keeps things fresh. Brazil produces a ton of wine, most of it in the temperate south with its four seasons. The fact that Brazil makes wine at all is something that most people in this country probably don’t realize, given how Chile and Argentina, with their marketing muscle, dominate South American imports and sales. I can’t recall being queried about my interest in wines from Brazil -- until this summer with the obvious Olympics tie-in. You’re not going to find many (or any) bottles from Brazil in your local wine store or in restaurants, unless, of course, they’re serving Brazilian food. I can see that changing, however, if more of them knew about wines like Lidio Carraro’s 2014 “Agnus” Tannat. Carraro, which, like many Brazilian wineries was founded by Italian immigrants in the late 19th century, notes that tannat is Brazil’s “emblematic” red grape, as it is in neighboring Uruguay. The variety was transplanted years ago from southwest France (think Madiran), producing tamer, less tannic wines across the ocean, much as malbec, also from France (think Cahors), does in Argentina. Did you know that tannat actually means "tannin"? Carraro’s tannat, which Wine-Searcher lists at seven retailers and is priced, astonishingly, from just under $11 to $13, is a bright and fruit-forward wine marked by smooth tannins, good balancing acidity and minerals (the grapes are grown in granitic soil), all of which enhance a blackberry-blueberry core accented by coffee bean and cocoa notes. Alcohol is a reasonable 13.5 percent. There’s a lot to enjoy here for not much money. Sounds almost medal-worthy, wouldn't you say? (Imported by Winebow, Inc., New York; received as a press sample). It’s mid-August, and with the heat and humidity truly stifling here in New York, I have no use for wines that aren’t fresh and light (while still interesting, of course). Among whites, sauvignon blancs immediately come to mind. For the “interesting” component, my mind -- and palate -- naturally veer toward France’s Loire Valley. The Loire is sauvignon blanc country, unparalleled in its quality and range of perspectives on the grape, from the racy and relatively uncomplicated wines of the large Touraine appellation, to the complex and celebrated offerings from Sancerre and its neighbor Pouilly Fumé. more famous neighbors like Sancerre. I remember thinking the first time I was there that lunch didn’t get much better than a hunk of the local chèvre, a baguette and a bottle of Quincy (although the young woman I was with may have had at least something to do with it). If Quincy (pronounced can-SEE) is not a great sauvignon appellation, it is very good, and the prices reflect its less rarefied place in the pecking order. That said, I was reminded on tasting several samples sent to me this summer just how satisfying the wines can be. Take Domaine Mardon’s 2014 Quincy “Tres Vielles Vignes,” listed online for $15 to $20. Apricot, orange and lime notes are softened by a subtle creamy overlay that also gives it richness. A steely minerality keeps it sharply focused. This mineral component, by the way, is what defines good sauvignon and other Loire wines, both white and red. Another standout is Domaine Sylvain Bailly’s 2015 Quincy “Beaucharme,” fresh and zingy, light and complex with citrus, herb and subtle vanilla notes. It’s about $16 and available here. The stated alcohol level of both wines is a relatively modest 13 percent. As I write this on a warm, early autumn day, I am reminded that many fruits on the farm stands are at their peak: the last of the peaches are being scooped up as the apples and pears take their place; there may still be some berries around. What made me think of this was a gorgeous white wine I am tasting from the Rias Baixas region of Galicia in northwest Spain -- the 2014 Abadia de San Campio Albarino from Bodegas Terras Gauda. I have tasted this wine many times before. Never has it been this delicious, suggesting that 2014 must have been one heck of a vintage in Rias Baixas. Albarino is the region's most important grape and is in its glory in this $19 bottling, bursting with ripe tropical fruit and rich lemon tastes, fresh and lively with great balance between fruit and acidity. I also detected a touch of brine, evoking the Atlantic orientation of Rias Baixas. In fact, I want to drink this wine with fish -- all kinds of simply prepared fish (but no rich sauces, please) and shellfish. Smoked salmon also comes to mind. It's wonderful as well on its own, a sophisticated and crowd-pleasing white whose alcohol is a lean 12 percent. Made without oak. My kind of wine, all around. Imported by Avenu Brands, Baltimore, Maryland. Received as a press sample. California chardonnay is often a difficult proposition for me. So much oak, so much alcohol, so little balance. That is, of course, a big generalization, but after so much criticism of the style, it’s remarkable how many California chardonnays are still made in that clumsy, overbearing style. 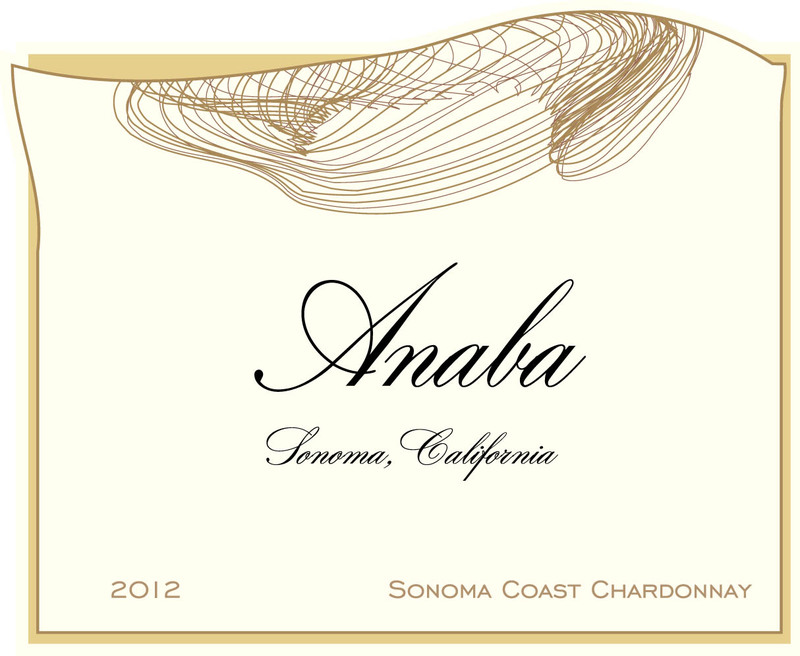 One that is not is Anaba’s 2012 Sonoma Coast Chardonnay, a subtle and beautifully balanced wine that is also an excellent value at $28. There is opulent fruit here, to be sure, evoking apple with an orange punctuation mark. There are floral and vanilla notes as well along with subtle touches of caramel and butterschotch from judicious oak treatment. This is medium-bodied chardonnay with alcohol listed at 13.9 percent. And that medium-ness, so to speak, is part of what makes it stand out. It’s “easy” to drink in the sense that it invites you back to sip and savor it it again. Enticiing and complex, a wine that other California producers might do well to taste -- and contemplate. Received as a press sample. The Gascony region in France’s southwest is most famous for Armagnac, but the grapes used in the brandy are also used in some excellent fresh white wines that offer real value. 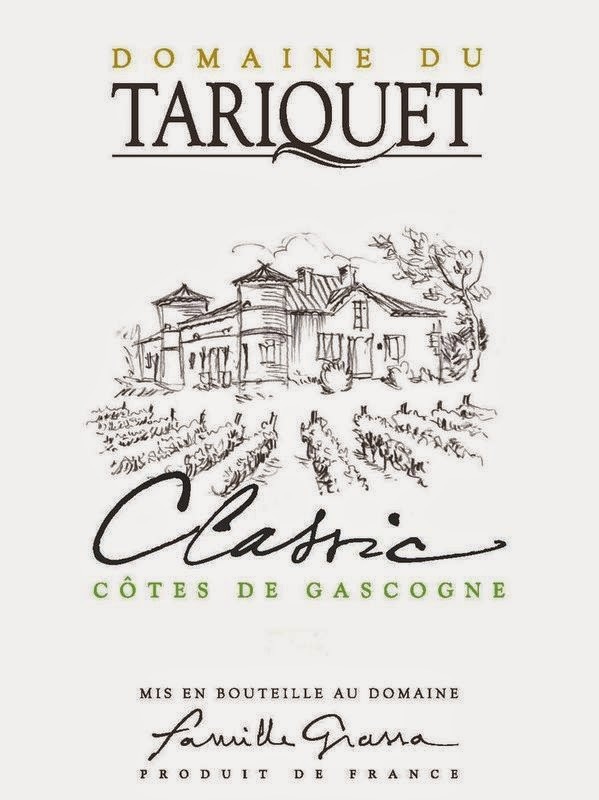 One of my favorites is Domaine du Tariquet’s Cotes de Gascogne “Classic,” and the newly released 2014 vintage is one of the best I’ve tasted. This $8 blend of ugni blanc, colombard, sauvignon blanc and gros manseng is light and fruity with tastes of white peach, exotic fruit and citrus, mainly orange, with honey and a touch of minerality along the edges. There is good complexity here at a bargain price, and the wine is easy to drink with alcohol at just 12 percent. It’s great on its own and will match well with simple fish and shellfish. 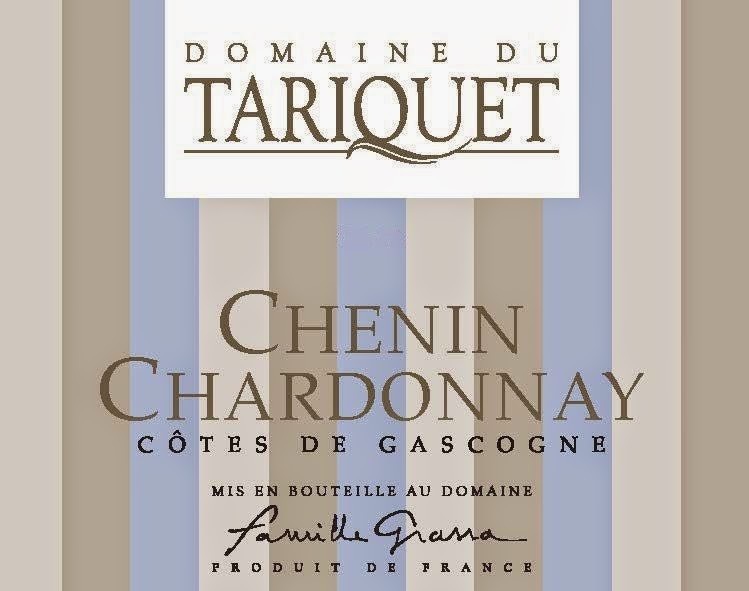 Equally impressive is Domaine du Tariquet’s 2014 Chenin Blanc-Chardonnay, a winning $11 blend that’s 75 percent chenin and 25 percent chardonnay. Again, there’s good minerality here, and the chardonnay gives it a little richness. 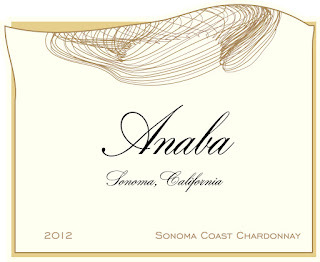 Apple, lemon, orange and tropical fruit notes are followed by a touch of cream on the finish. Alcohol in this one is also 12 percent and the wine is made without oak. It’s a satisfying alternative to much more expensive wines from the Loire Valley and Burgundy. For chicken, fish and everyday quaffing. While these are quintessentially summer wines, they’re the kind of refreshing whites I like to start off with just about every day of the year. Imported by Robert Kacher Selections, New York. Received as press samples. As I write this, it’s about to drop down to two degrees again here in New York, hardly the kind of weather that brings on thoughts of refreshing summer wines. But as part of my own strategy for coping with this brutal blast of winter we’ve been enduring for weeks, that’s exactly what I’ve been tasting. They're not a substitute for a warm beach, but they've taken some of the chill out of my mind, at least, and given me a jump on some exciting new releases to be enjoyed in the months ahead. From New Zealand, Mud House’s 2014 Marlborough Sauvignon Blanc ($12) immediately got me in the spirit of spring. This is classic Kiwi sauvignon with delicious grapefruit and gooseberry notes, vibrant acidity and a touch of cream on the long finish. It’s notable as well for its roundness -- there’s nothing strident, as New Zealand sauvignons can sometimes be. Alcohol is 13 percent. Imported by Accolade Wines North America, Napa, California. I have often said that rosés can and should be drunk through the year, a point reinforced by the first two rosés I’ve tasted this year. They represent two very different styles and both are memorable. From France’s Loire Valley, Saget La Perrière’s 2014 La Petite Perrière Rosé ($14) is as refreshing a rosé as you’ll find, It is made from 100 percent pinot noir, an under-appreciated Loire variety. I was struck immediately by a liveliness produced by its bright acidity, just the right quality to counteract a deep-winter funk. With its light salmon color its tastes evoke ripe cherry and strawberry with some lemon, orange and a touch of cream on the finish. Alcohol is 12 percent. In a slightly fuller style, the 2014 Los Vascos Cabernet Sauvignon Rosé ($14) is notable for its minerality that punctuates concentrated strawberry and raspberry notes. There’s a refreshing citrusy finish on this one as well. Alcohol is 13.5 percent. Los Vascos is produced in Chile’s Colchagua Valley and is owned by Domaines Barons de Rothschild (Lafite). Both rosés will be available this spring and are imported by Pasternak Wine Imports, Harrison, New York. All three wines were received as samples for review.